Taking a nap in the warm sunshine atop her eggs, this momma owl wants nothing to do with me! 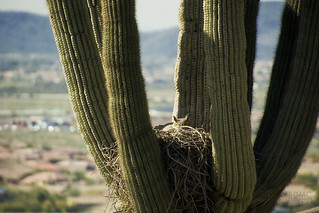 Photo taken on the Desert Vista Trail in the Phoenix Sonoran Preserve Arizona. The city is spotted with mountains and mountain ranges surround the area. Love Arizona!